This desktop plaque is a great way to say exactly what you want on an attractive and eye-catching piece. 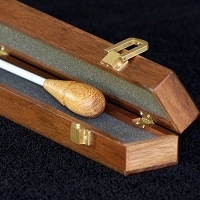 The baton is removable and made with a carbon-fiber shaft to ensure it will always stay straight. 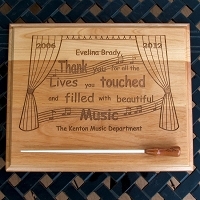 You can choose up to 4 lines of engraving and a logo on the base and have the option to personalize the baton handle. Please email us with special requests. 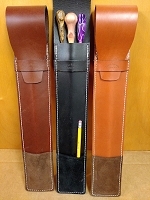 This item has become a very popular corporate gift world-wide! 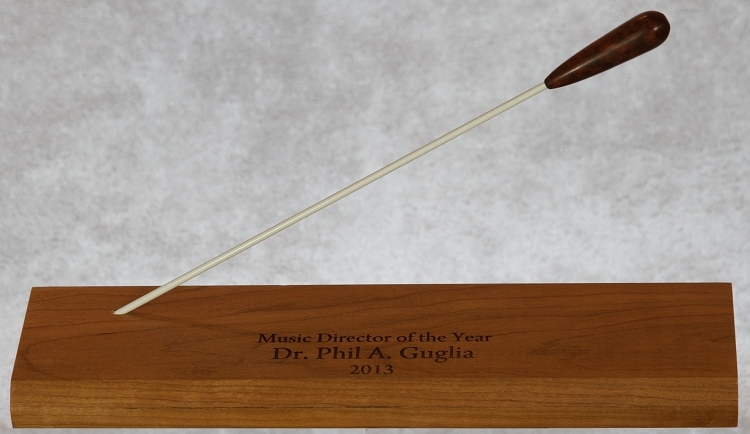 I purchased the desktop plaque for my daughter's music director as a parting gift from her senior class. It needed to be processed as an urgent request due to our tardy ordering.....Mr. Paguglia was not only most efficient in meeting our request in a timely manner, but the plaque is absolutely beautiful! 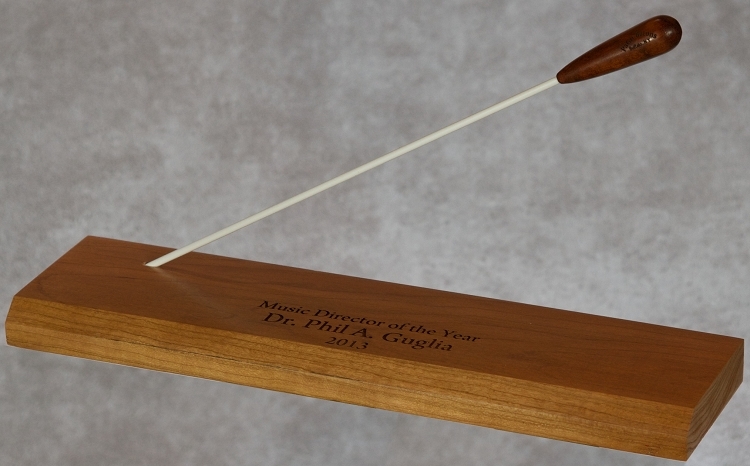 The wood is of high quality, the engraving clean & easy to read. 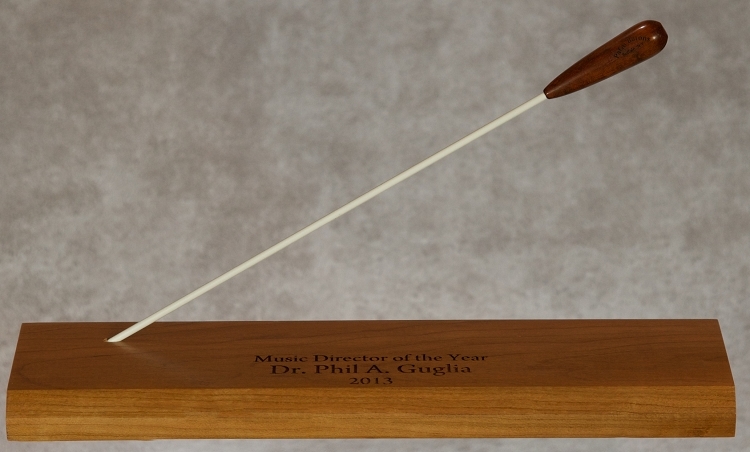 I know our music director will be quite pleased. I would not hesitate to use this website again!